Often refereed to as “DBU,” LSU has churned out some incredibly talented professional defensive backs over the years. From Patrick Peterson to Tyrann Mathieu, LSU has earned the right to claim its place as the defensive back factory. In this year’s draft, there are two former-Tiger defensive backs who are expecting to find a home on day one; safety Jamal Adams and cornerback Tre’Davious White. Listed at 5’11” 192 pounds, Tre White is a long, lanky defensive back who makes his living off fluidity, athleticism, and instincts. White is a fast player with good, quick feet and excellent closing speed. He does a nice job of coming downfield to attack receivers, and looks comfortable playing the ball downfield and turning his head around. White ran a 4.47 40 yard dash at this year’s combine, and tested well overall. He has loose hips, quick feet, and blankets receivers all the way down the field. At times, it looks as if he knows exactly what play the offense has called. Though White isn’t great at the line of scrimmage, his athleticism and technique during the route help him recover. White does an incredible job of flipping his hips and shadowing receivers down the field. He won’t be too successful if asked to consistently play press coverage, however. He is able to prevent separation from being made with both his speed and technique, and is an overall excellent cover corner. When the wide-out does separate from White, he is able to get back with his impressive recovery speed. As you can see in the clip above, Tre White displays NFL-level ball skills, and often finds ways to get his hands on the ball. He came away with two interceptions in 2016, but easily could’ve had a couple more. Here we see both White’s cover skills and his recover-ability. He mirrors the receiver across the entire field, lagging behind his back hip in a trail-technique. Once the ball is thrown, White uses his speed and ball skills to bat the ball away and cause the incompletion. White is a very instinct-full cornerback, and a smart player who uses this to his advantage. An experienced player, White uses some “veteran” tactics in coverage and understands how to disrupt the receiver at the catch-point. Due to his height and smaller-frame, he tends to struggle with bigger wide receivers at times. This could make him a target for opposing offenses when matched up with physical tight ends or X wide-outs. White also struggles with bigger blockers who come to shield him off at the second level. Though his tackling technique, and willingness to participate in tackling, can be improved, I like Tre White as a second round cornerback. In a lot of ways he reminds me of former LSU Tiger and current NFL Free Agent Morris Claiborne. His cover skills and instincts are NFL-ready, and I bet coaches believe they can work on all the other stuff. He is a fast, fluid athlete with loose hips and smooth feet. When you combine all of these traits, you get a late day one or early day two player. 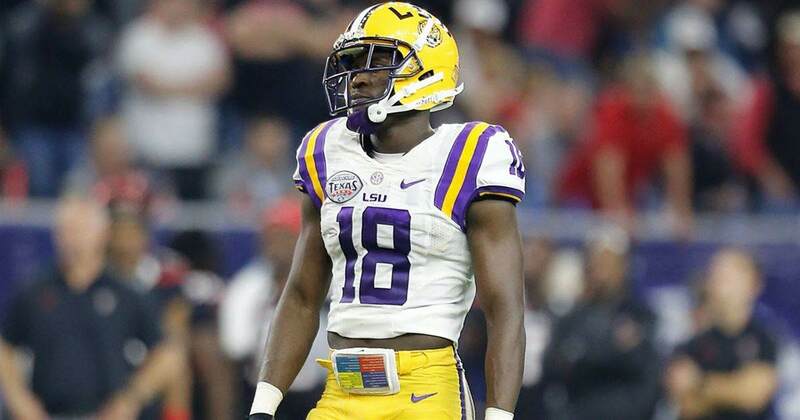 Tre’Davious White joins the flurry of second round cornerbacks on my 2017 NFL Draft board.